A new federal report shows that racial segregation in U.S. public schools penalizes black students, especially black boys. But it also suggests that integration alone, or steering more funds to black schools, won’t be enough to close the black-white achievement gap. The report, School Composition and the Black-White Achievement Gap, was produced by the National Center for Education Statistics (NCES), a unit of the U.S. Department of Education, and published on Sept. 24, 2015.Â It found that, among black eighth-graders, those who attended schools that were more than 60 percent black scored notably lower on a national math test.Â Among black students with similar socioeconomic backgrounds, those who attended an integrated school with more white students scored higher. 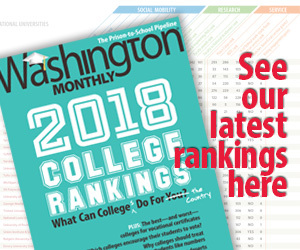 “Even when we account for factors associated with higher achievement, such as socioeconomic status and other student, teacher and school characteristics, we see that Black male student achievement is lower in schools with higher percentages of Black students,” Peggy Carr, the acting NCES Commissioner, wrote in a prepared statement. White students’ math scores were unaffected by the percentage of black students in a school, either way. When the study compared white students of similar backgrounds, they were not scoring any better in the “whitest” schools than they were in the “blackest”. 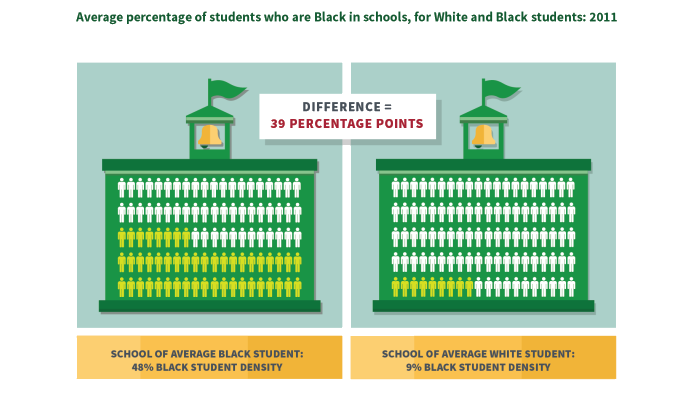 However, black students score consistently lower than whites, regardless of the mix of black or white students at a school. And the study found that the nation’s large black-white achievement gap was due primarily to factors inside the school house, rather than to differences between black and white schools. The NCES said it conducted the report because of growing concerns about resegregation in the nation’s public school system, and it hoped to shed more light on how segregation affects the achievement of minority students. The report began by showing that both black and white students post lower scores on an eighth-grade math exam the more black students there were in their school. The math test was the 2011 National Assessment for Education Progress or NAEP, which is taken by a nationally representative sample of students throughout the country every couple years. However, the statisticians were rightfully concerned that this simplistic approach might have simply captured the fact that poorer students tend to be at schools with larger numbers of black students. And it is already well established that poorer students, on average, don’t do as well at school. So NCES controlled for family income and parental education. For white students of similar backgrounds, the “penalty” for attending a school with greater numbers of black students disappeared. For example, the average white student in a school with less than 20 percent black students scored a 292 on the NAEP math test. In a school with more than 60 percent black students, a similar student scored a 288. Statistically speaking, the two numbers were essentially equivalent. In other words, integration doesn’t seem to be harming whites at all. This was true for black students to an extent. When they attended a school that was between 0 and 60 percent black, their math scores were unaffected by the racial composition of the school they attended. But once a school tipped above 60 percent black, then there was a meaningful decline in black scores. As well, the black-white achievement gap was largest in these schools with high black densities. One of the great achievement-gap debates is whether white students are being favored over black students inside the school walls, or whether education administrators are steering better teachers and more resources to white schools. Prior research has come out on both sides of that debate. In this report, researchers used statistical techniques to break down how much of the achievement gap could be attributed to factors inside the school versus factors between schools. And they found that more than half of the achievement gap could be attributed to factors inside the school.Â Only about 15 percent of the achievement gap could be attributed to inequities in funding and resources between schools. The remainder of the achievement gap is an unexplained mystery. Perhaps subjective factors inside each school, such as teacher expectations for black students, or how students are tracked into advanced classes,Â are critical. And deserve further study.